Use this New Brunswick child support calculator to determine what may be the base amount required for monthly child support payments. New Brunswick’s child support guidelines fall under the provincial law known as the Family Services Act. This Act was recently amended several times over the last few years. The Act makes is very clear that the courts ultimately will have the final say in the amount of child support to be awarded, depending on each case’s circumstances. The Family Services Act has been in existence in New Brunswick since 1980 and was likely a response to keep up with the evolving laws of divorce and support at both Provincial and Federal Levels. If you read the Act, you will see that the law presents a number of potential circumstances which the courts would potentially consider in individual cases. At the same time, the court is able to take into consideration other significant factors as it sees fit. Judges will take direction from precedent cases in combination of direction from the laws. 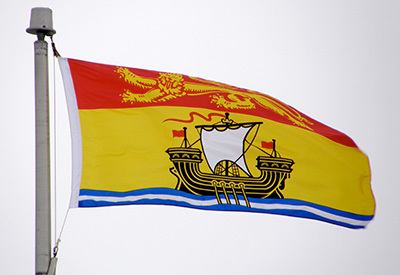 The New Brunswick Department of Justice will apply the guidelines to cases under the Federal Divorce Act if both parents of the children reside in New Brunswick. The Divorce Act is meant to provide the guiding direction for the ultimate finalization of divorce cases across Canada. What it means for Judges in New Brunswick is that they are required to apply suggested monthly support payments in conjunction with information and guidelines under the Federal Act. For clarification on New Brunswick child support guidelines, it is important that you contact a lawyer and/or the local courts administration office in your area. 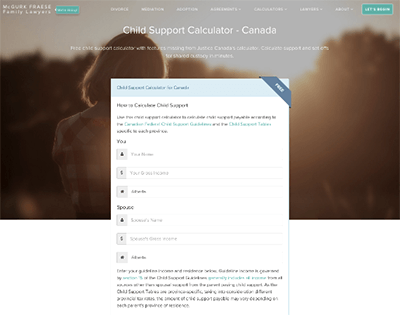 Calculate shared custody child support and more using this advanced child support calculator. 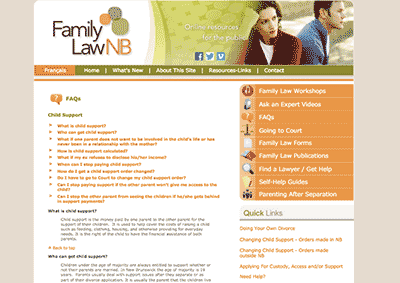 A legal information website devoted to family law in New Brunswick. Includes information about New Brunswick child support claims.